The Monument Geyser Basin has no active geysers, but its 'monuments' are siliceous sinter deposits similar to the siliceous spires discovered on the floor of Yellowstone Lake. Scientists hypothesize that this basin's structures formed from a hot water system in a glacially dammed lake during the waning stages of the Pinedale Glaciation. The basin is on a ridge reached by a very steep one-mile (1.6 km) trail south of Artists' Paint Pots. Here's the our members favorite photos of "Natural Features in Yellowstone National Park". Upload your photo of Monument Geyser Basin! 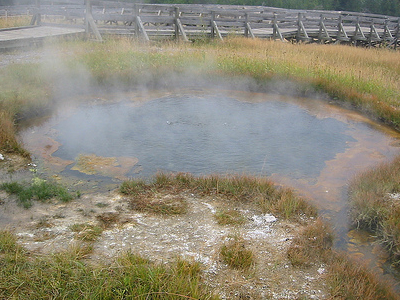 Beata Hargitai is the only Touristlink member to visit Monument Geyser Basin. Have you been here? Click here to save it.